In an interview with Italian website Everyeye at Gamescom 2018, Hideaki Itsuno, Game Director for Devil May Cry 5 and previously known for his work on Devil May Cry 3/4 as well as Dragon’s Dogma, said that CAPCOM never even considered changing the game into a more narrative-heavy title like Sony Santa Monica did with God of War. No, we have never thought of such a change. For us, the important thing is to focus on what our fans want. Consider that much of the feedback collected with DmC and Devil May Cry 4 were requests related to the number of environmental puzzles or “platform” phases. Many have asked us to reduce the number, and so we did in Devil May Cry 5. This is particularly interesting because earlier this year Hideki Kamiya, who directed the original Devil May Cry, suggested that Devil May Cry 5 could have benefited from a change just like God of War. He then imagined making the game as cinematic action title. Clearly, CAPCOM had other ideas, however. In the same interview, Itsuno-san also said that finding the sweet spot between realistic characters and exaggerated action is the thing he’s most proud of, as well as the hardest to accomplish during the development of the game at CAPCOM. As often happens, it is in both cases the same aspect of the game. Moreover when you work hard to overcome a difficulty, if the result satisfies you, you can not but be proud of it. One of the aspects we worked with the most attention is the stylistic factor: we wanted to find the right balance (the “sweet spot”) between the realism of the models, the characters and of the animations, and this exaggerated and fantastic action that finds no place and counterpart in the real world. Our characters are unquestionably human, we have even eliminated the sensations related to the so-called ” uncanny valley “, yet the actions they are capable of break and overcome the physical laws, without these two tendencies (the natural and the supernatural) entering into conflict in a clear way. 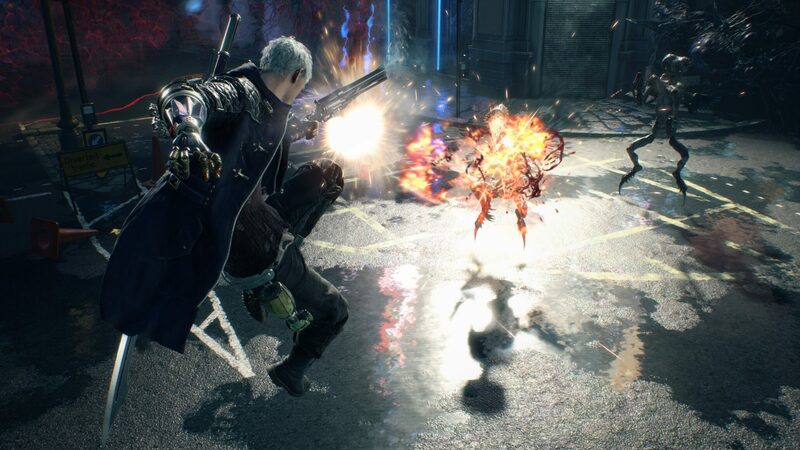 Devil May Cry 5 is out March 8th for PC, PlayStation 4 and Xbox One. Chris tried it at Gamescom 2018 and came away thoroughly impressed.